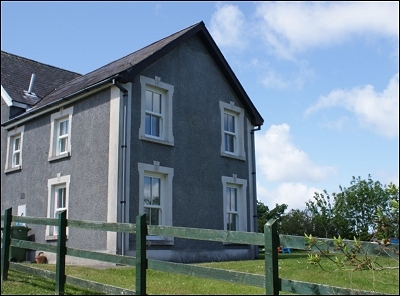 Ty Twt, New Quay, Cottage sleeping 2 + 1. 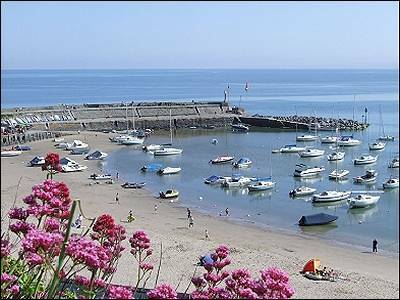 Ty Twt is the self-contained one bedroom annexe of our stone and slate farmhouse which stands in an elevated position over-looking the Victorian fishing village of New Quay. 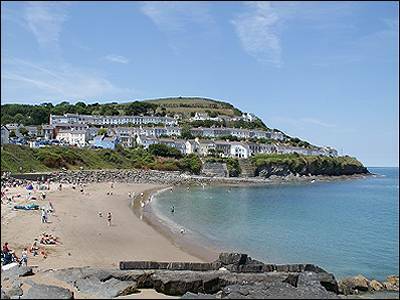 This picturesque little town is part of the beautiful, unspoilt Cardigan Bay Heritage Coast, noted for its dolphins, red kites, buzzards and other wildlife. 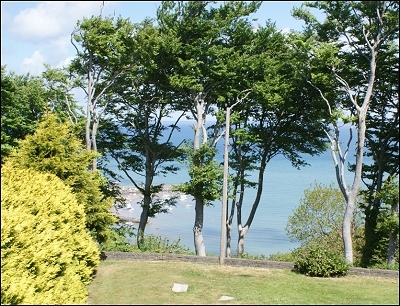 In New Quay and the surrounding area there are several sandy beaches accessible by road or by footpath from the cottage. It is about 15 minutes walk down a footpath into the town. One medium size or 2 small well behaved dogs welcomed. 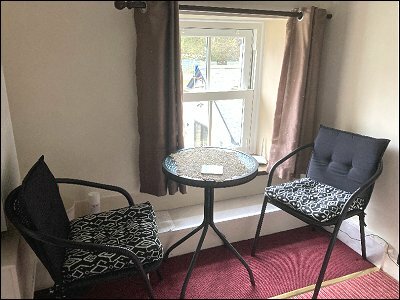 Accommodation - The cottage has recently been refurbished(2017) and its new central-heating and double-glazed windows make it warm and comfortable all the year round. Downstairs there is an open-plan living room with dining room / kitchen, and upstairs a double bedroom with 19 inch flat screen TV, and bathroom with bath, electric shower, WC and wash basin. There is also a junior bed on the landing suitable for a child (stair-gate provided). 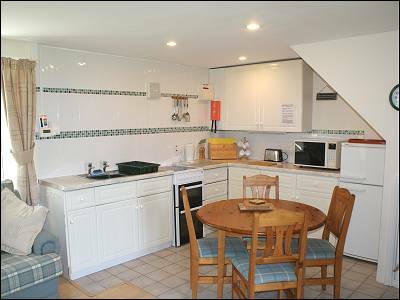 The kitchen includes a new cooker with electric oven and ceramic hob, fridge-freezer, microwave, kettle and a good range of cooking utensils and crockery. There is a dining table with four chairs, and plenty of cupboard space. The lounge area has a new locally made good quality sofa suite, 26 inch flat screen TV, and radio/CD player. There is also a selection of books and magazines available. 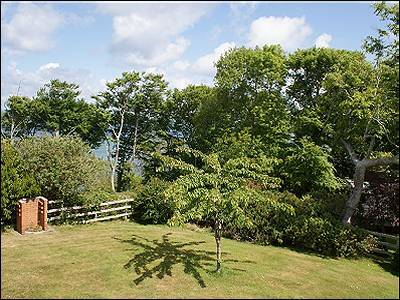 Outside there is a car-parking area and a garden with table and chairs and a view over to the harbour. The views are even better from the upstairs windows. 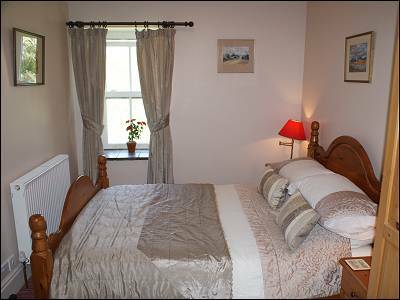 The cottage is part of a small group of individually owned holiday cottages. 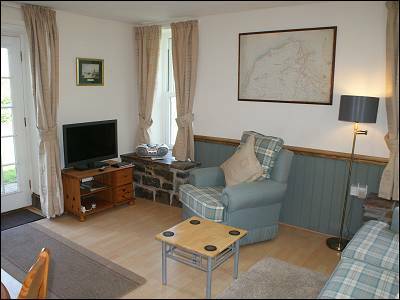 Short breaks available outside high season, 3 night minimum. Minimum cost £180. 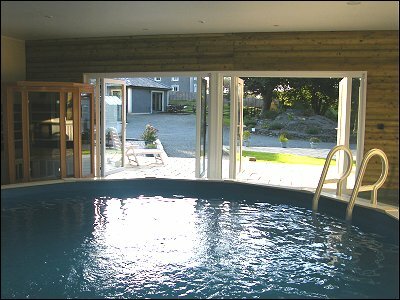 The plunge pool (available from Easter to the end of October) at the complex is available to guests with a single payment of £30 per stay to the site owner . 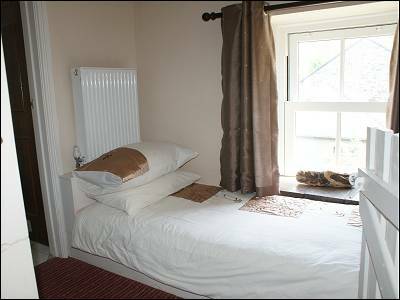 Price includes full central heating and electricity, bed linen, towels and T towels. Ironing facilities and hairdryer are available in the cottage. There is a washing machine available in the laundry room of the holiday cottages nearby. Bookings are confirmed on receipt of £50 deposit. Arrival from 4pm and departure by 10am. One medium sized or 2 small well behaved dogs welcomed - downstairs only and not permitted on the furniture. 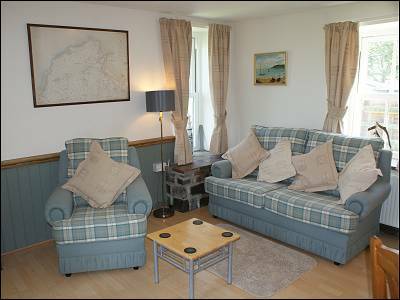 Guests can log on when they arrive to the Penrhiw Pistyll Cottages WI-FI and either pay by PayPal or credit card. 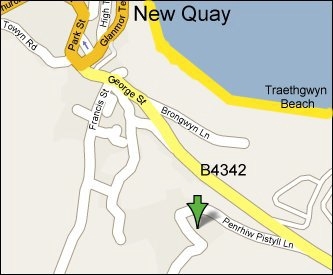 New Quay was home to Dylan Thomas and is believed by many to be the fictional Llareggub of 'Under Milk Wood'. The Dylan Thomas Trail in the town will show you many of the places featured in the play. The Coastal Path - part of the all Wales coastal path, passes through New Quay and provides stunning views of the cliffs and sea and the unique wildlife of West Wales.